Zeiss is not a new name in the world of microscopes, and the Zeiss Stemi DV4 (Double Lens Vario, zoom factor 4) just adds to their prestige. This is a stereomicroscope that was built for ease of use as well as transport. It can be used almost anywhere, as the universal plug works in Europe, Great Britain, the USA, Japan, and Australia. A stereo, or dissecting, microscope provides a 3D view of the specimen. 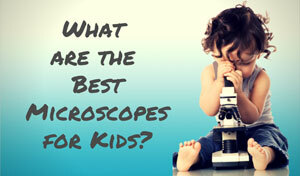 It does this with separate objective lenses and eyepieces for each eye. Stereomicroscopes have lower magnification when compared to compound microscopes, but they also have a longer working distance. This Zeiss stereomicroscope comes with great features, as well as the option to customize it so any user can make it uniquely their own. The ability to customize makes it a very desirable unit. From biomedical research to dentistry, there are very few limits to what the Zeiss Stemi DV4 can be used for. The Zeiss Stemi DV$ Stereo Microscope has been discontinued. Used models can be purchased at a value price on Ebay. The Zeiss Stemi DV4 4:1 zoom range can be used to yield magnification from 8x up to 32x. It can also accept additional magnifications that can range from 2.4x all the way to a 64x. The image is clear and crisp with an awe-inspiring resolution. The three way LED illuminator is controlled with one button. A touch pad on the base lets the user fine tune the intensity levels with ease. The LED has a long lamp life and can yield either white or cold light for more appropriate specimen viewing. 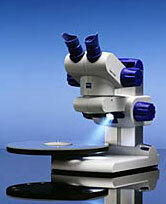 This Zeiss stereomicroscope is also very versatile and adaptable. Changing the eyepieces can make it ready for a C-mount camera or an SLR camera. A dark field illuminator can be added to make this microscope fit the user’s needs even more. Even thought the adaptability of this model is great, it can also be considered a downside. 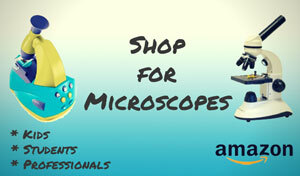 This is a low priced microscope but not exactly cheap. The accessories are an additional cost that users need to consider. 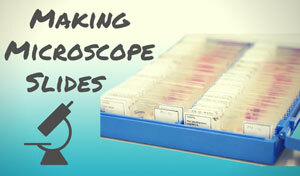 The eyepiece needed to perform photo microscopy can set a customer back another five hundred dollars. This is a small, light weight unit because it was designed with ease of transport in mind. Some users worry that it may tip when using the camera features, so the light weight may take some getting use to. Sometimes it's hard to find a microscope that meets all the needs of a user in one nice, tight package. The Zeiss Stemi DV4 starts with a good standard package, and allows users to customize it to their heart's content. This Zeiss stereomicroscope is not the most expensive model on the market, and is reasonably priced in its most basic form. Just know that the accessories can increase the cost quite a bit. Recommended for: Especially suited for biological researchers, those working in a dental lab, and people performing industrial inspections. It will also fit the needs of certain graduate students. The Zeiss Stemi DV$ Stereo Microscope has been discontinued. Used Zeis Stemi DV4 microscopes can be purchased on Ebay..